Because aerobic exercise involves quick lateral movements, jumping, and leaping for extended periods of time, proper foot care plays a vital part in keeping the entire body fit. 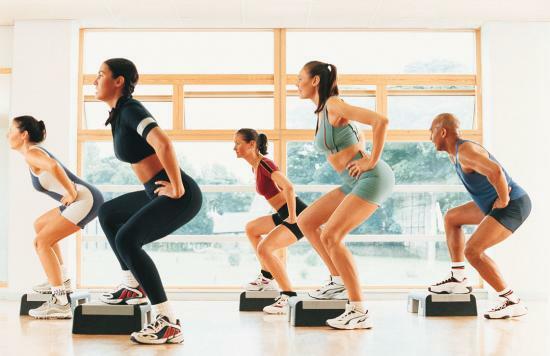 Common injuries from aerobics often involve the foot, ankle, and lower leg. Improper shoes, surfaces, or routines, and straining muscles by too vigorous a routine can lead to foot problems. Experts say that hardwood floors, especially with padded mats, are the best surfaces for your feet during aerobic exercise. And don’t forget to stretch all the muscles, tendons, and ligaments in the leg, ankle, foot, and toes in a warm-up and cool-down periods before and after aerobics. Because of the many side-to-side motions, aerobic shoes need an arch design that will compensate for these forces. Look for shoes with sufficiently thick upper leather or strap support to provide forefoot stability and prevent slippage of the foot and lateral shoe “breakup.” Make sure shoes have a toe box that is high enough to prevent irritation of your toes and nails. Welcome! The podiatry professionals at Foot First Podiatry, CLPC are pleased to welcome you to our practice. We want all our patients to be informed decision makers and fully understand any health issues you face.